With the summer in full swing, many people are hitting the gyms a lot harder than they normally would. Looking good during the time of year when the weather is at its hottest is important to many people. Naturally, the warm weather encourages us to shed layers of clothing. But, for some, the idea of exposing more of our bodies comes with much trepidation. We all want to be in shape. We all want to be lean and fit. But it’s not always so easy to pull off, is it? Many of us have very busy schedules. Between work, picking up the kids from school, preparing meals and cleaning up at home, who has time to work out? Sure, we can squeeze in some exercise here and there, but it’s tough to keep up with a regular routine. Stubborn fat. At least, this is what we call it when no amount of exercise will help for it to disappear. Usually found in the thighs and our sides, this stubborn fat has many nicknames. Love handles, muffin tops, bra bulges and so on. Now if regular exercise doesn’t always solve the problem, what can be done about stubborn fat? The answer is CoolSculpting. This is a treatment that has been proven to be an effective method for targeting specific areas of fat that remain despite steady weight loss and fitness programs. This isn’t liposuction! It involves no cutting, anesthesia, needles or injections. Instead, patients are fitted with a device that targets fat cells with a cooling process. The key is to freeze fat cells in order to destroy them. 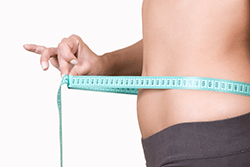 CoolSculpting uses a fascinating technology that is able to destroy fat cells without harming other areas of the body. This is because fat freezes at different temperatures than other cells. 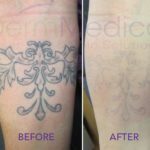 The treatment is both FDA and Health Canada-approved and is specifically helpful for those who wish to contour their bodies. In other words, CoolSculpting is not the answer to obesity. Within a month, patients are able to see noticeable results, the doctor informs. He also notes that the fat cells destroyed by CoolSculpting are permanently removed. So there is no danger of them returning. “If he gains weight, he’ll typically gain it somewhere else before he can gain it back in that area,” says Dr. Novak. If you have a similar problem with stubborn fat, call DermMedica toll free at 1-866-861-3070, or if you are in Kelowna, call 250-868-3070. 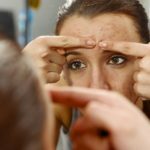 Contact DermMedica online here.